Just finished 3 days of clothing giveaway. Lots of families helped! Tuesday, began a busy 3 days for the Mobile Free Thrift Center we helped 24 families representing 86 people with items to help them get established here in Watford City. 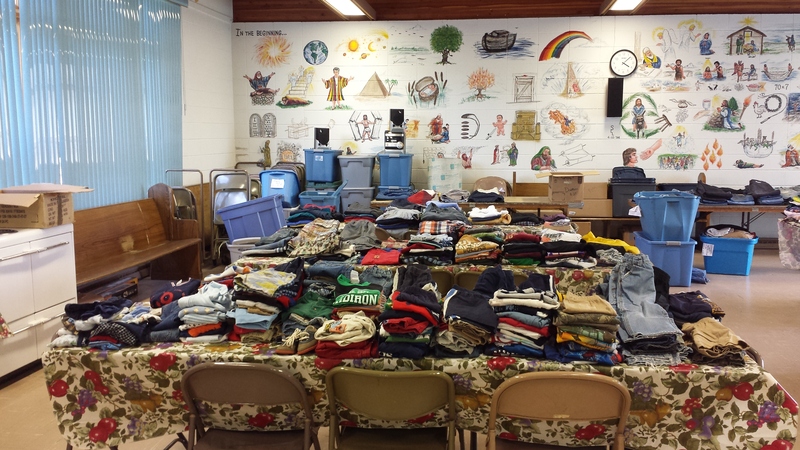 On Wednesday and Thursday in the Presbyterian Fellowship Hall we helped 73 families with over 1253 items. We are making a difference and easing the burden of families trying to get a new start here in Watford City. 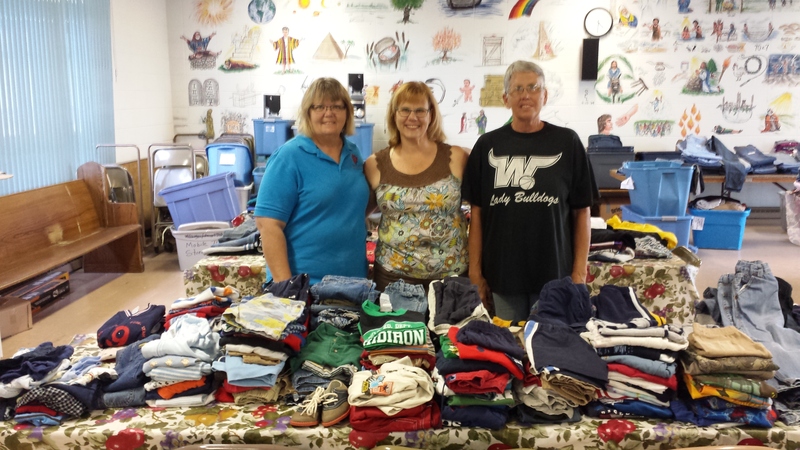 In the center picture, my wife Kathie, Kathy Tretter and Ginny stand behind a table of clothing ready to be given to families in need. Thank you to all who support us in prayer, support us financially and have sent or brought donations. We are most grateful! If you are not aware, there is a donate tab at the top of our webpage if you would like to donate to help our ministry. We are always short of certain items, such as coffee pots, toasters, crock pots, frying pans, sauce pots, mens jeans, stocking caps and mens warm winter gloves. Any extra funds we get go to help supply what we cannot keep in supply. Thanks for considering this opportunity to be a blessing. God Bless! 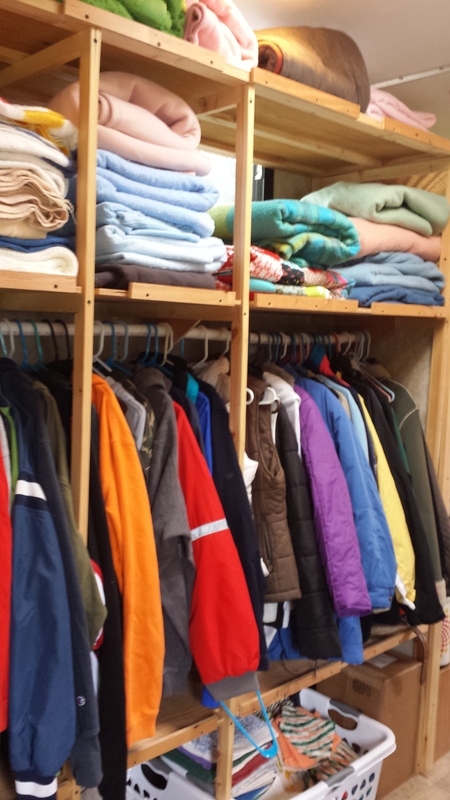 ← Mobile Free Thrift Center open tomorrow, September 2nd, 5 to 7 pm.